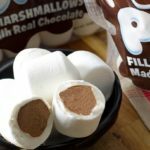 These are perfect for Halloween parties... or a scary movie marathon! 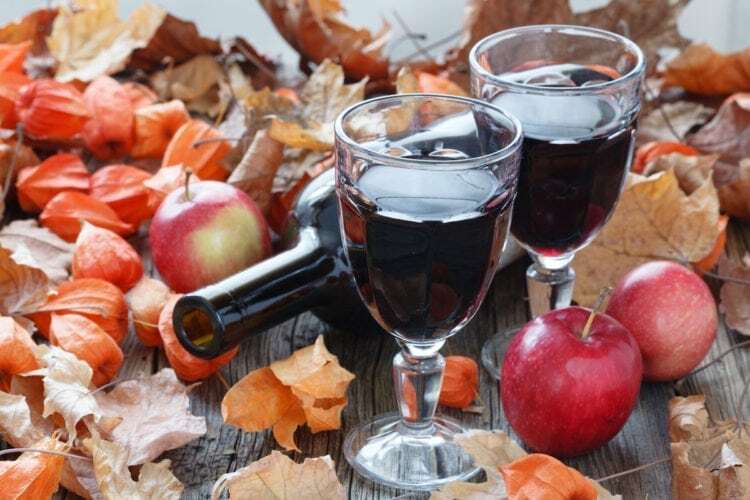 Halloween isn’t just the season for candy and pumpkin-flavored beer, it’s also an opportunity for vino-lovers to uncork some interesting seasonal wines. 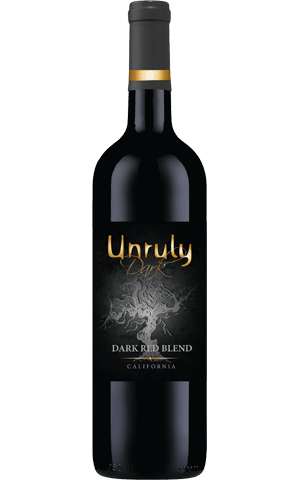 If you’re looking for the perfect red blend to pair with Halloween candy, you can’t go wrong with Unruly Dark Red Wine, a dark, full-bodied California red wine. It’s brimming with rich chocolate and blackberry flavors with notes of spice. 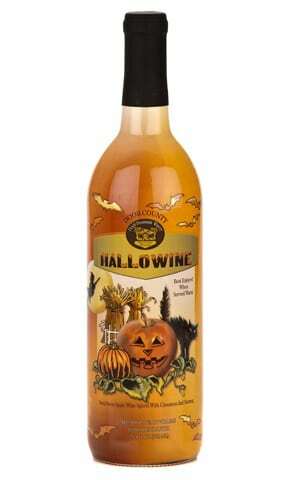 Why choose between a glass of wine and a warm mug of hot apple cider with cinnamon and nutmeg when you can have both with this mulled sweet apple wine from Hallowine? This spiced alcoholic beverage is best served warm on a cool fall evening. 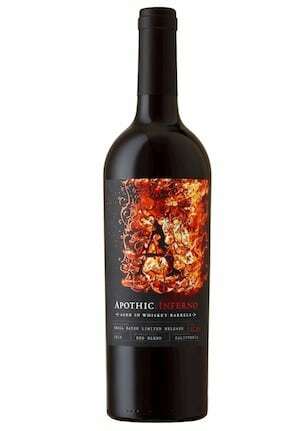 Aged in whiskey barrels, this Apothic Red blend, Inferno, has an intense flavor profile — rich, fruity and smoky all at the same time. 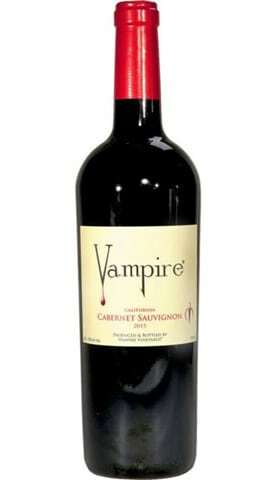 If vampires could drink wine, they would likely appreciate a full-bodied blood-red wine like this California Cabernet Sauvignon from Vampire Wines. 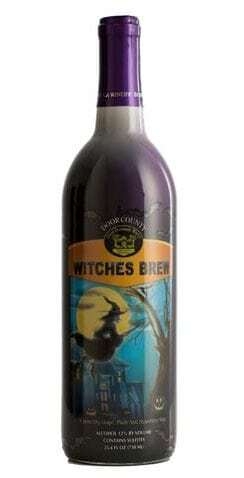 Its oakiness is complemented by dark cherry and blackberry flavors. 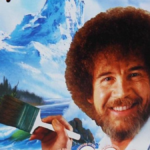 Instead of carving a Halloween pumpkin this year, try drinking one instead. 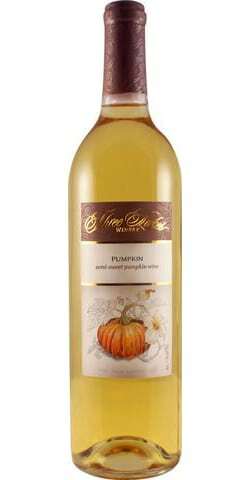 Three Lakes Winery makes this semi-sweet wine using only pie pumpkins. It’s said to be smooth and Chardonnay-like and has become so popular that the Wisconsin winery sells it year round. 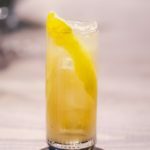 This fruit-forward Witches Brew is the perfect drink for transitioning from summer to fall. It contains a blend of strawberry, grape and plum wines and can be served slightly chilled. 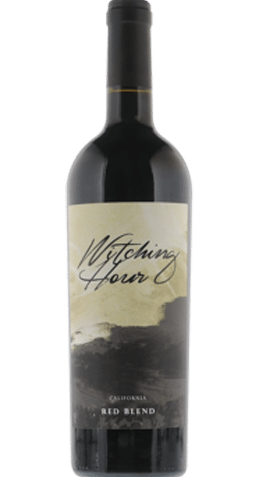 If a medium-bodied red blend is more your speed, you’ll want to nab a bottle of this Witching Hour red wine to drink while watching a marathon of Freddy Krueger movies. Zinfandel fans will love this 7 Deadly Zins wine with its sinfully delicious aroma of molasses and strawberry jam. Just like the titular characters on the popular TV show, this Walking Dead Cabernet Sauvignon has a bold, sharp bite. Attention, white wine-lovers: This creamy Bogle Phantom Chardonnay is said to taste like an apple pie with notes of caramel and vanilla. Pair it with lobster or chicken for an elegant Halloween dinner party menu. 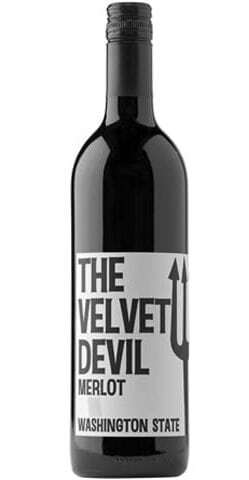 As its name implies, The Velvet Devil Merlot is velvet-y smooth while bursting with fruit flavors and a cedar finish. Sangria isn’t only for summer fiestas. This red wine and fruit-laden version from the Spanish label Fangria works as a refreshing apertif anytime of year. 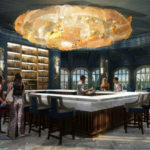 You can also pair it with a tequila chaser to make a traditional Mexican “Vampiro” cocktail. 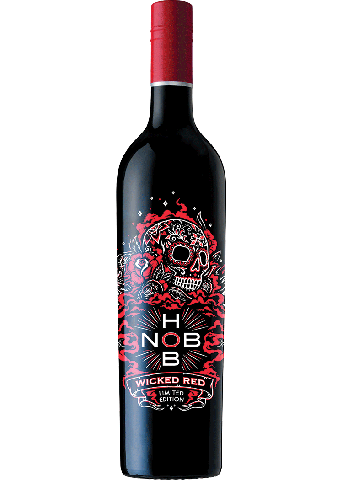 The label on this Hob Nob Wicked wine looks straight out of the movie “Coco,” while on the inside of the bottle is a medium-bodied French red blend with hints of nuts and spice.